I would be willing to help you with your pet or pets. 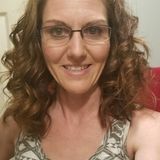 Want to connect with Meranda? Hi there my name is Meranda. I am seeking an animal caregiver position in Bangor, Maine. I plan to apply my abilities as an animal caregiver. My availability is flexible. I will take care of caring for sick animals, facilitating exercise, and exotic pet care. Further, I have a drivers license. I have professional Dog Walking experience.